For those that know me personally, you know that I have a goofy sense of humor and that whenever possible I can laugh at pretty much anything - especially at my own expense. So when I came across this prompt and saw how much fun other blog writers had with it, it inspired me to write one myself. Nor do I (most likely) have any intention of doing. 1. Watched a single episode of General Hospital, Days of Our Lives, Dallas, Dynasty or Falcon Crest. Seriously. I have no idea why - I am all about tacky, trashy, over the top TV. 3. Danced on a table. Though I'm sure I've been tipsy enough where I considered doing so. Come to think of it, this, I might do - if ever given the opportunity. 4. 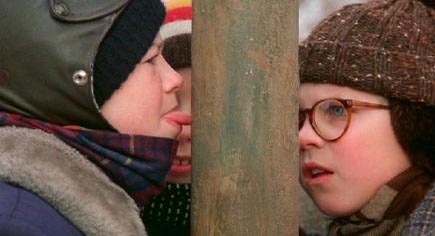 Been double dogged dared to stick my tongue to a flagpole. 5. Eaten bulls testicles. I'll leave that to Anthony Bourdain. 6. Been on a cruise - the Bahamas booze cruise does not count and neither does the Circle Line. A vacation cruise is one thing I have absolutely no desire to do - ever. 7. Entered a mosh pit. I get annoyed during #6 train rush hour. How the hell can I survive a mosh pit? And I don't want to get hurt. And people who enter the pit scare me a little. 9. Returned worn underwear. I worked retail for many many many years - including the lingerie department at A&S - you would be totally surprised and grossed out by the things women will return. 10. 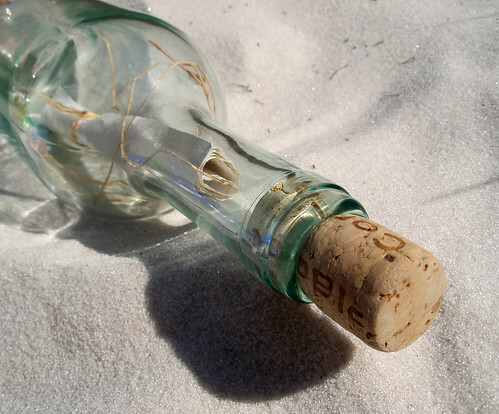 Put a message in a bottle and thrown it out to sea. 13. Made someone a mixed tape. Yes, a tape. Not a CD, not a play list - an actual tape. Can you even buy tapes anymore? 15. Jumped out of a plane. 16. Stalked my celebrity crush - that's you Mr. Johnny Depp. 18. Dressed up as Princess Leia or Wonder Woman for Halloween. 19. Read any of my writing out loud. 20. 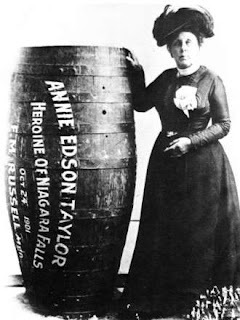 Traveled down Niagara Falls in a barrel. 21. Belted out a song in public while listening to my iPod. The people who do this really fascinate me. Especially when they sing horribly - I sort of admire that kind of courage. 22. Watched Foot Loose. The original with Kevin Bacon. I'm actually ashamed of this one. Have you done of any of these things? (b) NEED to tell me ALL about it. please tell me so, that way I don't feel so alone. Post inspired by the prompt "list 22 things you've never done," from Mama's Losin' It as borrowed from The Pioneer Woman.